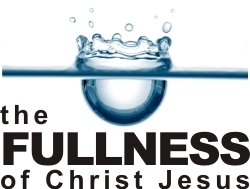 The Fullness of Christ – Is it for You? 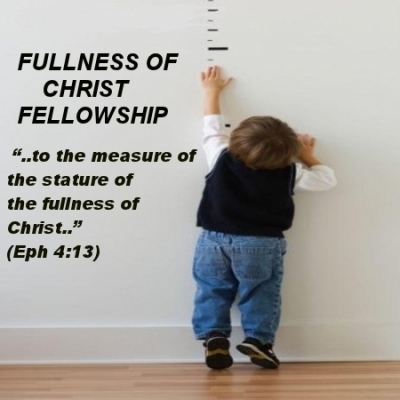 The Fullness of Christ-is it for You? Colossians 1:9-10 And so, from the day we heard, we have not ceased to pray for you, asking that you may be filled with the knowledge of his will in all spiritual wisdom and understanding, so as to walk in a manner worthy of the Lord, fully pleasing to him, bearing fruit in every good work and increasing in the knowledge of God. The evidence of power (and therefore fullness) is always endurance in the face of trials or hardship or tests of faith. The ability to endure under continuous or intermittent pressure that tests our faith in His Word is the foremost proof of spiritual power and the “fullness of Christ”. 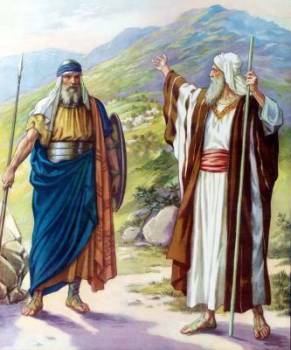 This was the lesson of the Book of Joshua as embodied in the person of Caleb. Caleb was one who possessed the Fullness of God, as evidenced in his strength, passion and victory of possessions. He gained everything that God wanted Him to have, and had more to give away to his children. Fullness will always reveal itself in victory in the face of trials, and will always result in an abundance of blessing, so much so that your family will benefit and inherit! The fullness of Christ will reveal itself in our life through joy in the face of hardship or even suffering. The fullness of Christ is never meant to be for an individual, but is always meant to be shared to bring others into His inheritance. Being filled with the fullness of God is like a bottle in the ocean. You take the cork out of the bottle and sink it in the ocean, and you have the bottle completely full of ocean. The bottle is in the ocean, and the ocean is in the bottle. The ocean contains the bottle, but the bottle contains only a little bit of the ocean. So it is with the Christian. We can be filled with the fullness of God when we immerse ourselves in his love and in his ways and in his Spirit and in his word; however “we cannot contain all of God because God contains us; . . . we can have all of God that we can contain. If we only knew it, we could enlarge our vessel. The vessel gets bigger as we go on with God.” A. W. Tozer. Our Christian walk should be a journey towards spiritual maturity that allows us to experience more and more of Christ’s fullness and enable us to share Him with others. Jesus illustrates the principle of grace as the means to fullness. From the fullness of Jesus we receive His grace, so that we might be filled to overflowing, thus allowing His grace to pass on to others. 1 Timothy 1:14 and the grace of our Lord overflowed for me with the faith and love that are in Christ Jesus. Philippians 1:7 It is right for me to feel this way about you all, because I hold you in my heart, for you are all partakers with me of grace, both in my imprisonment and in the defense and confirmation of the gospel. Paul experienced the fullness of blessing – Romans 15:29 I know that when I come to you I will come in the fullness of the blessing of Christ. We are to know the height, depth, breadth and length of Christ, for He is our inheritance. The Church is His fullness – Ephesians 1:23 which is his body, the fullness of him who fills all in all. Ephesians 3:17-19 so that Christ may dwell in your hearts through faith—that you, being rooted and grounded in love, may have strength to comprehend with all the saints what is the breadth and length and height and depth, and to know the love of Christ that surpasses knowledge, that you may be filled with all the fullness of God. Being built up in Christ requires us to be fully aware of our calling, our blessing and our inheritance, so that we might clearly see the breadth, length, height and depth of what Christ wants us to possess. When we see that which we stand to gain, it should draw us deeper into love with Jesus Christ. If there is no decision to yoke completely our will and flesh, there can be no fullness. If there is no continued decision to focus on Christ and learn of Him, there can be no sustained fullness. Nurturing a close relationship with Jesus is easier said than done in our busy and materialistic world. As we yoke ourselves to Christ, we must also weed out the thorns and thistles of life: the cares of this world, that may hinder our spiritual growth and prevent us from experiencing Christ’s fullness. 9. The Fullness of Christ is measured in the unity of faith and knowledge of Christ in the church. Just as God clearly marked the promised land to Joshua and the Israelites, all that we have in Christ is already been given us. Ephesians 1-3 provides every blessed boundary line of what we have in Christ. Just as Joshua knew what God had given them, it became the calling of the Israelites to GAIN all that land. This is where Ephesians 4-6 comes into view. After the calling comes the WALKING! We have the fullness of Christ, now we must learn to WALK in the fullness of Christ! Our ministry and service for the Lord is measured by the degree of Christ that we have to minister. A minister of Christ is one who ministers Christ, who is able to minister Christ because he has Christ to give, has the Holy Spirit of Christ to impart Christ. Ministry is not meant to be in an “official capacity.” Ministry is never on the basis of “office” or “position” or “degree.” Ministry is because of Christ having you and you having Christ. The church is that which comes into contact with conditions of spiritual death and, because it has the living, risen Lord in it, breaks the power of that death, and delivers there from, and proves the testimony of Jesus, that He it is who lives, and Who became dead, but is alive for evermore. That is the testimony of Jesus. No measurement is given unto it. We are not told how long that line was, but we do know that it was used for the greater measurement. When we come later to the river in chapter forty-seven, it is not the rod but the line that is the instrument of measurement; and we find that that river becomes too deep for man. This clearly corresponds to what Paul said in the Letter to the Ephesians. There he spoke of “the love of Christ, which passes knowledge.” We are here in the presence of something that is far greater than human measurement. Since the Bronze Man represents the Holy Spirit, there is no measuring the Holy Spirit. The Holy Spirit is without measure. 2. The Rod of Measurement. These are two ways of measuring. One is what we may call the “measureless measure”, the Measure that has no limit. That is the great fullness of the Spirit. The other is that which is brought down to things in everyday life. This rod was used to measure all the details of the House of God. 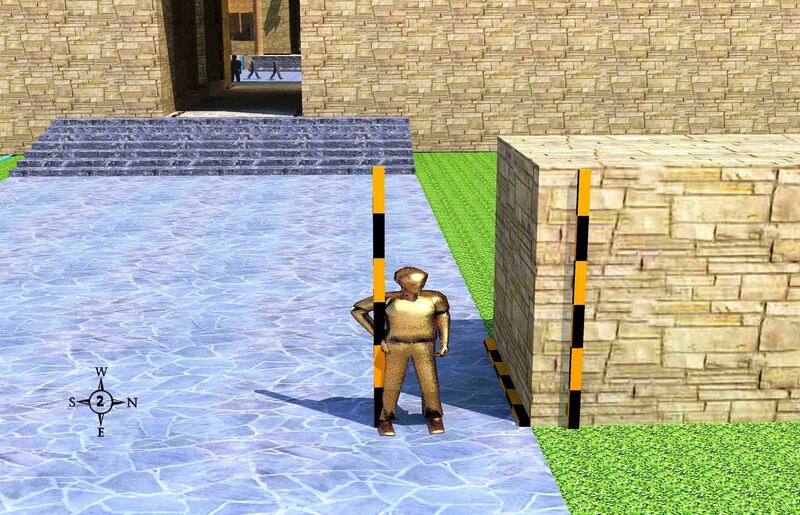 The Bronze Man shows us there is great fullness of Christ (measureless); He also shows us that this fullness is applied to the minute details of the House of God. The Son of Man is the Righteous One, and He is God’s standard of measurement. God measures everything by Him…This is why the letters to the seven churches in Revelations are not simply a “dispensational thing.” They are in reality the Letters to the churches throughout all the age whereby Jesus Christ is measuring them according to His Fullness, and showing them where they are failing to overcome and attain unto His Fullness! The letters apply to every church in every age, for we will all be measured by His Fullness and whether we have gained it! 1 Corinthians is an example of the fullness of Christ being diminished within the church by the intrusion of the fleshly or carnal man. Paul held up the measuring rod against the church when He said: “I determined to know nothing among you, save Jesus Christ and Him crucified.” Paul brought in this Righteous Man to correct the things that were unrighteous. By bringing in the Righteous Man, he put out the unrighteous man. By bringing in the Man of the Spirit, he put out the man of the flesh. That is exactly the meaning of this Man of brass with His measuring rod, so that first of all the object in view is Christ. He governs everything. Exodus 16:16-21 This is what the LORD has commanded: ‘Gather of it, each one of you, as much as he can eat. You shall each take an omer, according to the number of the persons that each of you has in his tent.’ ” And the people of Israel did so. They gathered, some more, some less. But when they measured it with an omer, whoever gathered much had nothing left over, and whoever gathered little had no lack. Each of them gathered as much as he could eat. And Moses said to them, “Let no one leave any of it over till the morning.” But they did not listen to Moses. Some left part of it till the morning, and it bred worms and stank. And Moses was angry with them. Morning by morning they gathered it, each as much as he could eat; but when the sun grew hot, it melted. John 6:32-38 Jesus then said to them, “Truly, truly, I say to you, it was not Moses who gave you the bread from heaven, but my Father gives you the true bread from heaven. 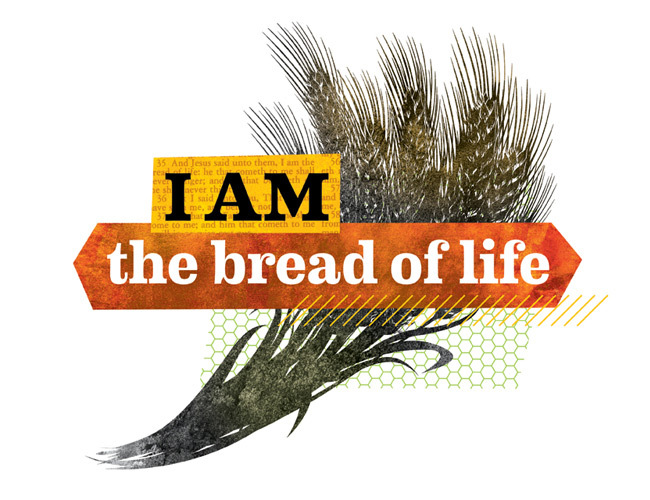 For the bread of God is he who comes down from heaven and gives life to the world.” They said to him, “Sir, give us this bread always.” Jesus said to them, “I am the bread of life; whoever comes to me shall not hunger, and whoever believes in me shall never thirst. But I said to you that you have seen me and yet do not believe. All that the Father gives me will come to me, and whoever comes to me I will never cast out. For I have come down from heaven, not to do my own will but the will of him who sent me. Fullness of Christ in our life always results in Cool Shade for others in the “heated times” of their life. 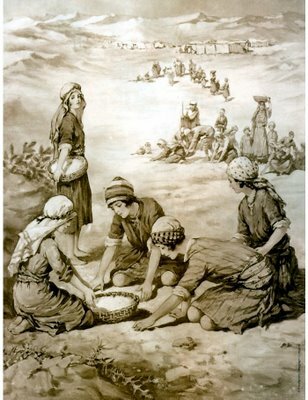 This is illustrated in the application of the Manna to Grace Giving. Christ is the Water of Life, and all those who abide in Him have Living Water flowing from His Fullness within. The Living Water of Christ is never meant to be contained (filled), but to always flow outward as an eternal spring of life to others. The Word of God is the source of the water of Life. Jesus is the Logos! Psalm 1:2-3 But his delight is in the law of the LORD; and in his law doth he meditate day and night. And he shall be like a tree planted by the rivers of water, that bringeth forth his fruit in his season; his leaf also shall not wither; and whatsoever he doeth shall prosper. 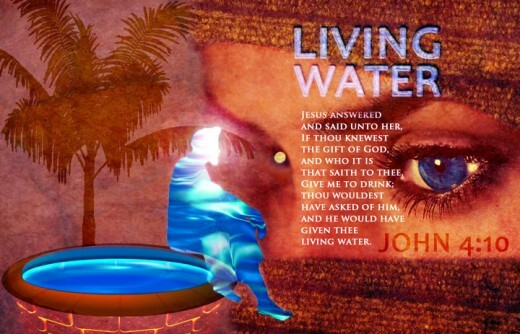 The Living Water always produces a fullness of life and fruit! Here is the Key: Ephesians 3:16-21 that according to the riches of his glory he may grant you to be strengthened with power through his Spirit in your inner being, so that Christ may dwell in your hearts through faith—that you, being rooted and grounded in love, may have strength to comprehend with all the saints what is the breadth and length and height and depth, and to know the love of Christ that surpasses knowledge, that you may be filled with all the fullness of God. Now to him who is able to do far more abundantly than all that we ask or think, according to the power at work within us, to him be glory in the church and in Christ Jesus throughout all generations, forever and ever. Amen. 1. Inner Strength of Spirit! If you are to take the Word of God and the indwelling Spirit and grow into the fullness of God, it begins with inner strength. You must be strengthened by His Spirit in the inner man. You must allow the Spirit to have control of your inner man. Your inner man will be strengthened when the Holy Spirit has control of it, when you yield to Him, when you no longer are ruled by yourself, when you no longer do just what you want, but where you learn moment by moment, step by step, one day at a time, to yield control to the Holy Spirit. If there is to be a change in your inner man it’s going to be by the strengthening of the inner man through the Holy Spirit. And that comes as you yield to the Spirit. Every time you yield to the Spirit a decision in your life, you strengthen the muscle of your inner man a little more and as you continue to do that your inner man gets stronger and stronger and stronger and it’s easier to say yes to the Spirit and no to sin. Sin decreases as you yield to the Spirit because you strengthen the inner man and it becomes easier to say yes to the Holy Spirit. When you yield to the Holy Spirit, He controls your life then Christ settles down and becomes at home there. Verse 17; “That Christ may ‘katoikeesis’, settle down and be at home in your hearts by faith.” Christ wants to be at home in you. He wants to settle down. He wants to have a clean life. One that He doesn’t have to be running around cleaning and sweeping and chastising and chastening. The blessed Lord Jesus Christ, the Son of God, the Savior, the Messiah, God Himself in human flesh wants to live within the believer in fullness. He’s there because you have been born again and declared “righteous” and “just.” Christ wants to give you His fullness, His righteousness, His peace, His strength, and His power. He wants to dominate you so that II Cor. 3:18 becomes a reality. You are changed into His very image. Ephesians 4:13 becomes your reality. You come to the full measure of the stature of Christ. In other words, Christ likeness, Christ permeating every part, every fiber, every ounce of your being with His wonderful person and presence. The “imprint” of Christ is upon you, just as the “imprint” of God was upon Jesus! So, as you yield to the Spirit of God, your life is under His control. You mind is set upon the Holy Spirit. You are walking after the Holy Spirit, and Christ can settle down and be at home. When Christ is at home in your life, it is because you have yielded to the Lordship of Jesus Christ. 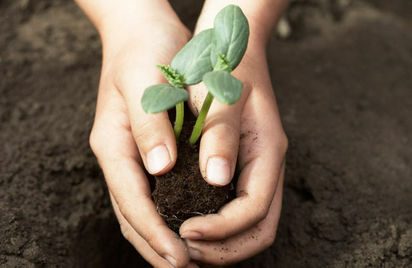 The third thing which must happen is revealed in verse 17: “In order that ye may be rooted and grounded in love.” Without being rooted and grounded in the Love of Christ, you cannot know His fullness. Love permeates all the Christ wants to do in your life. Selfishness and pride must be rooted out and replaced with His agape love. When Christ fills us love fills us. Look what it says in verse 17; “When Christ dwells in our hearts, Christ settles down and is at home in our hearts, and so we are rooted and grounded in His love. This is the foundation of the fullness of Christ, experiencing His love firmly in the core of your being. You can’t have a love experience unless His love is your foundation. As Christ fills your heart love rules. Love is the foundation. Love is the bottom line. Love is that which everything else is built upon. If you don’t experience a total life of love, it is not because it isn’t there, it’s because you have never allowed it to function. Love is the most normal thing for a Christian to do. The Spirit of God comes into your life, He fills your life with love, He begins to rule your life, you yield to Him, Christ settles down, He is at home, His love permeates, and as it permeates your life you should be characterized thirdly, by incomprehensible love. And it should start by being the very root and the very foundation of your life. The very basis of your life. b) His Love must become your own! Not only is it the foundation, but verse 18 says you must be able to comprehend this love. In the Greek the verb comprehend is a compound verb “katalambano” which is an intense verb meaning to seize or grasp for your own. 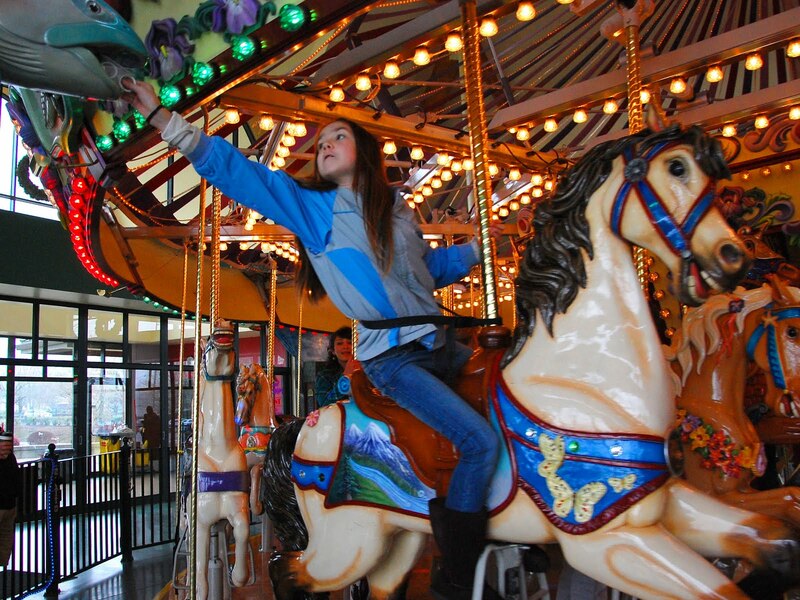 It pictures the brass ring from the old merry-go-rounds, that were there to be grabbed it you tried hard enough. For the love of Christ to be foundational in your life, you must desire it and grab hold of it! You literally seize love; you make it your own as a way of life! The love of Christ is such a treasure because it is the gateway into the fullness of Christ. It is the most desired thing, something you want to seize, something you want to grasp. Something you want to cling to. c) His Love can be Experienced in a miraculous way. Paul says we can experientially know this love even though it surpasses our ability to know. The knowledge here is the knowledge which is experienced. To live a life built on love, to live a life that grasps every possibility of love in every situation is only possible when you’re filled with the fullness of the Spirit of God who causes Christ to be at home in every dimension of your life, bringing the fullness of His own love. If you claim to be a Christian but you don’t have love as the root and the ground of your life, the problem is not that the people around you are giving you trouble, the problem is clear back in verse 16, you have never yet yielded the control of your life to the Holy Spirit. The very first evidence of the fruit of the Holy Spirit is love, Galatians 5:22. The absence of love is the presence of sin. The absence of love is the presence of iniquity. The absence of love means you’re not walking in the Spirit. The entirety of the Law is summed up in one thing—“Love the Lord your God with all your heart, soul, mind and strength.” And your what? “Neighbor as yourself.” That’s the whole law, right there. Ephesians 5:2 Paul says to “Walk in love.” What kind of love? The kind of love that gives yourself as a sacrifice. Biblical love always involves sacrifice. Humble yourself at the Cross. Yield to the Spirit of God. Let Him have control of your life so that Christ can settle down and fill your life with His love. We are able to grab this love in its fullness. This love extends in all directions and covers every situation. Jerome said that the love of Christ reaches up to the holy angels and it reaches down to those in hell. Its length covers the men on the upward way and its breadth reaches those drifting away on evil paths.  How long is this love? Eph 1:4; It began … “Before the foundation of the world.” Eph 2:7; “That in the ages to come He will show the exceeding riches of His grace…” How long is His love? From eternity past to eternity future.  How deep is His love? Eph 2:1-3; Deep enough to reach us when we were dead in trespasses and sin.  How high is His love? Eph 1:3; High enough to take us and bless us with all spiritual blessing in heavenly places. High enough, Ephesians 2:6, to raise us up together and make us sit together in the heavenlies in Christ Jesus.  How broad is His love? Eph 3:12 – broad enough to build up the entire body of Christ through the ages. Its breadth — it can reach anybody. Its length — it runs from eternity to eternity. Its depth — it reaches to the pit of sin. Its height — it takes us to the presence of God and sits us on His throne. That’s His love. This is the kind of love we are to build our life on. This is the kind of love we are to comprehend and seize at every moment. This is the kind of love we are to experience and know. The kind of love that reaches to parties that hate each other. The kind of love that runs from one part of our life to the end of our life. The kind of love that reaches to the person in the deepest pit. The kind of love that can lift up a person to the very presence of God. That’s the kind of love we are to know. This is the kind of love which will bring us into the fullness of God. As a Christian, if you follow this sequence you can be filled with all the fullness of God. It’s one thing for you to be filled with the Spirit in verse 16. Another thing for you to be filled with Christ in verse 17. But now to be filled with God, the eternal God, the almighty God, the creator God, the sustainer God, the God of the universe, the God who made it all, the God who fills it all can fill you? The word pleeroo, fullness, is a word that is used many times in the New Testament to speak of total fullness. That is its meaning. Picture a scale which reflects your life. There is to be no level balance, a little of you and a little of God. NO! The scale is to tilt totally in God’s favor. He wants all of you so He can fill all of you! What Kind of God are we filled with? This is Amazing Truth! As powerful as God is you hold the trigger that determines whether He’s able in your life! You are the key to God accomplishing all that He would through you! Now that you have inner strength, now that you have the indwelling Christ, now that there’s incomprehensible love, now that you’re filled with internal fullness, the fullness of God, now He is able to do what? “Exceeding abundantly above all we ask or think according to the power that works in us.” That power doesn’t work in you until now. Verse 20 does not become reality until verses 16 to 19 have been fulfilled. God is able to do exceeding abundantly above all that you ask or think. Don’t ever say, Lord, I don’t know if You can use me in this situation. He can. Beyond your dreams, infinitely beyond. When the church gathers together, it gathers with the Holy Spirit, and the power of the Lord Jesus Christ. And when it separates every believer goes out of here able to do exceeding abundantly above all that he can ask or think, if he follows the pattern right here. Don’t ask your heavenly Father for a dime. Take all that He’s got to give. Don’t live as a beggar on a pittance when the resources are there to live as a king to His glory. 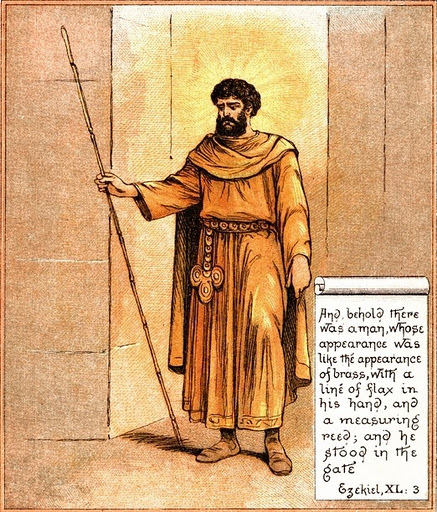 The word “knowledge” is epignōsis, “full knowledge, precise and correct knowledge.” “Perfect” is teleios, “mature, complete, full grown.” Expositors says: “The state at which unity is lacking is the stage of immaturity; the stage in which oneness in faith and knowledge is reached, is the state of mature manhood in Christ.” The words “mature man,” refer to the individual believer. The apostle has in mind the spiritual maturity of each saint. The words, “unto the measure of the stature of the fulness of Christ,” further define what Paul means by the mature saint. The expression “the fullness of Christ,” refers to the sum of the qualities which make Christ what He is. These are to be imaged in the Church (1:23), and when these are in us we shall have reached our maturity and attained to the goal set before us. Thus the whole idea will be this — ‘the measure of the age, or (better) the stature, that brings with it the full possession on our side of that which Christ has to impart — the embodiment in us the members, of the graces and qualities which are in Him the Head.’ ” The term, “spiritual maturity,” as applied to a Christian, is ever a relative one, not an absolute one. Paul, in Phil. 3:12 disclaims absolute spiritual maturity, while in 3:15, he claims relative maturity of Christian experience. This process of conforming the saint to the image of Christ begins in this life in the work of the Spirit in sanctification and is never completed in eternity, for the finite can never equal the infinite nor even remotely approach to it. Christ’s perfections are so wonderful that the saints will ever bear but a dim reflection of them. This is the distance between finiteness and infinity. Translation: Until we all attain to the unity of the faith and of the experiential, full, and precise knowledge of the Son of God, to a mature man, to the measure of the stature of the fulness of the Christ. Kenneth S. Wuest, Wuest’s Word Studies – Volume 1: Word Studies in the Greek New Testament, (Grand Rapids, MI: Wm. B. Eerdmans, 1973), WORDsearch CROSS e-book, 101-102.